Spill cleanup is a serious situation, so what do you do if a spill occurs? If a spill occurs, please call us immediately 403-272-1995 to prevent pollution of land or waterways including the storm water system. 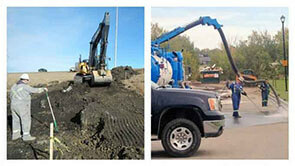 Proper spill cleanup requires prompt and immediate action to ensure the spill area is minimized as much as possible. 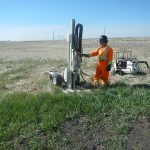 We are experienced to transfer product, recover fluids and solids from the ground and supply full cleaning and remediation service for any environmental or disastrous situations. Any business loss, interruption and/or contaminated environment are the utmost importance to us and we strive to return your disrupted routine from chaos, back to normal. 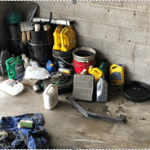 Our company is equipped and committed to restoring the environment and/or property that has been contaminated as a result of most hazardous materials. 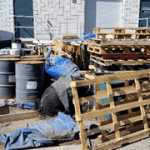 We Provide Spill Cleanup, Hazardous Materials, Transport of Dangerous Goods, Waste Removal and Remediation in your warehouse, parking lot or transportation accident site. Here are some examples of hazardous materials that may cause an adverse effect on humans and the environment. Mayken Hazmat Solutions works closely with the necessary regulatory authorities and our customers to ensure the remedial scope of work is identified, understood and implemented effectively to minimize environmental impact. We will provide superior safety standards with the utmost importance on the health and protection of our employees, the community and the environment in a cost effective manner. Mayken can pickup and safely dispose of any waste by vac truck in bulk or in totes, drums and pails. Such as, paint & gun wash, glues & adhesives, oils & lubes (new and used), caulk, rubber sealants, sump waste and sludge, hazardous and non-hazardous waste. Mayken is a Licensed Carrier with the Alberta Government as a Hazardous Waste Carrier to collect and transport Dangerous Goods for Classes 3, 4, 5, 6, 8 ,9 which enhances our ability to serve you. We ensure that all waste is transported under the proper manifest and that the receiver is properly licensed to accept the waste. You can rest assured that the product is handled efficiently and effectively in the utmost regulated way to protect you and the environment. Mayken disposes of Hazardous Materials safely and in an environmentally sound manner. This is fully regulated to protect you and the environment to limit your exposure to risk and liability.